After the first walk I was soaking wet. My mom doesn’t let me run around the house when I am a wet dog, so she usually takes me into the bathroom to get dried off. 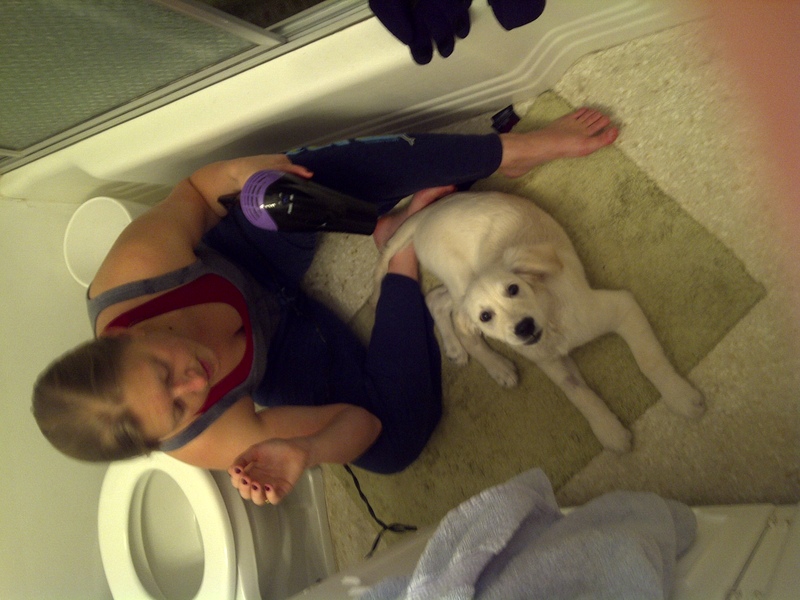 I usually keep her company when she dries her hair in the morning so I like the hair dryer now. It keeps me warm when it’s chilly in the mornings and dries me off when I get wet. Since the rain had me drenched from head to toe I needed to get dry again. I sat down and rolled around on the floor after shaking off some of the water that had my coat all wet. 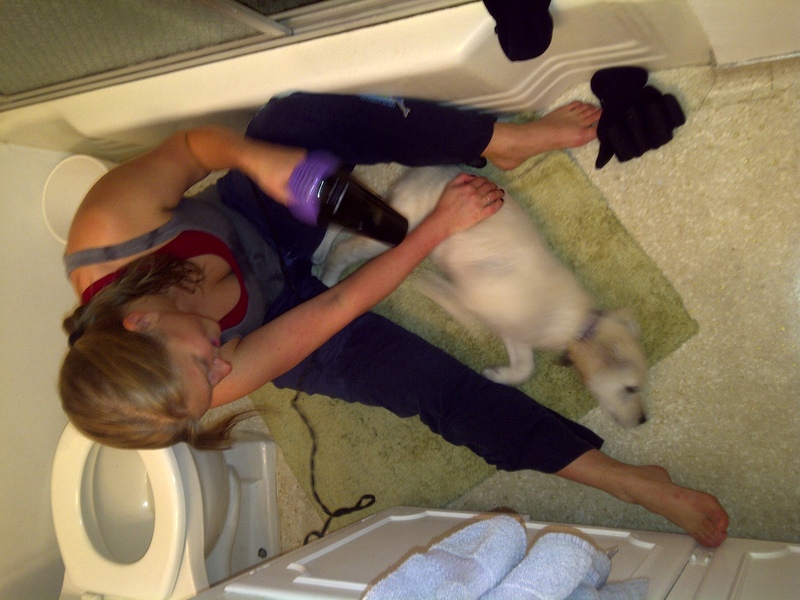 While I rolled around and walked all around the bathroom I got all dry from the hair dryer. Ever since I got home from the hospital I sort of realized that my mom knows best for me so I listen a little more, and I am gremlin a little bit less. Rolling around on the ground.